Sat. 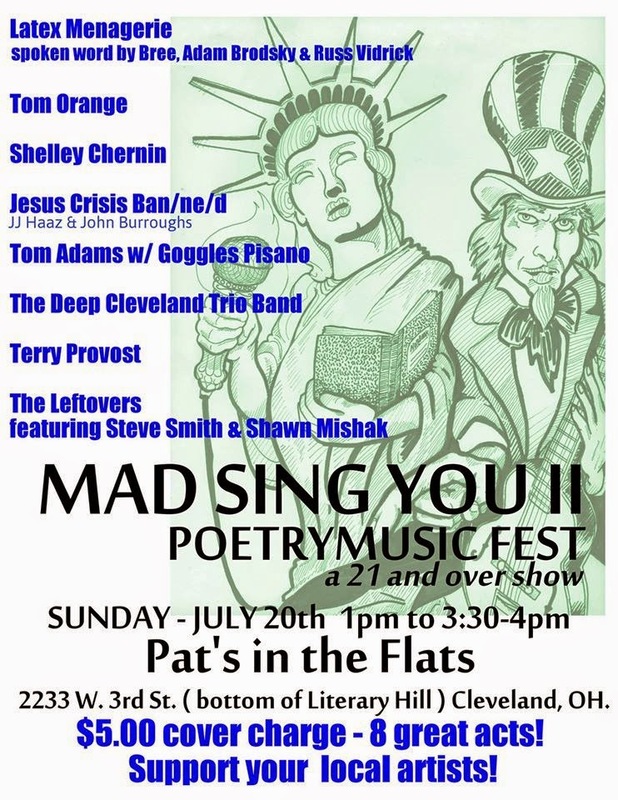 August 2nd 2014 at 3 p.m.: Green Panda Press presents a plethora of poets including Michael Salinger, Sara Holbrook, Bree, Krystal Sierra, John Swain, Russell Vidrick, Steve Goldberg, Adam Brodsky and John Burroughs at the Barking Spider Tavern on Juniper Road in Cleveland. Tues. August 5th 2014 at 6:30 p.m.: Words and Wine featuring John Burroughs at Your Vine or Mine, 154 Main Street in Painesville, Ohio. Fri. August 15th 2014 at 7:30 p.m.: Voices from the Viaduct featuring Ron Androla, Sean Thomas Dougherty, Ron Hayes, John Burroughs, Dianne Borsenik, Veronica Hopkins, Greg Brown, Kim Noyes, Michael Bennett, Marisa Moks-Unger, Tracie Morell and Keith Moses, hosted by Cee Williams at the McBride Viaduct, 12th Street and East Avenue in Erie, Pennsylvania. Wed. August 27th 2014 at 7 p.m.: The official Crisis Chronicles Press book release for Oct Tongue -1 (by Mary Weems, John Swain, Steven Smith, Lady [Kathy] Smith, Shelley Chernin, John Burroughs and Steve Brightman) will happen at Mac's Backs, 1820 Coventry Road in Cleveland Heights, Ohio. August 4th 2014 at 7:30 p.m., join us for a fabulous night of live poetry, featuring literary treasures Sean Thomas Dougherty, John Dorsey and John Swain - plus, for any who dare, brews, bowling and a bowl-you-over open mic. It happens at Mahall's 20 Lanes, 13200 Madison Avenue in Lakewood, Ohio. John Swain of Louisville, Kentucky, is the author of several acclaimed books including Ring the Sycamore Sky (2014, Red Paint Hill), Rain and Gravestones (2013, Crisis Chronicles), White Vases (2012, Crisis Chronicles). 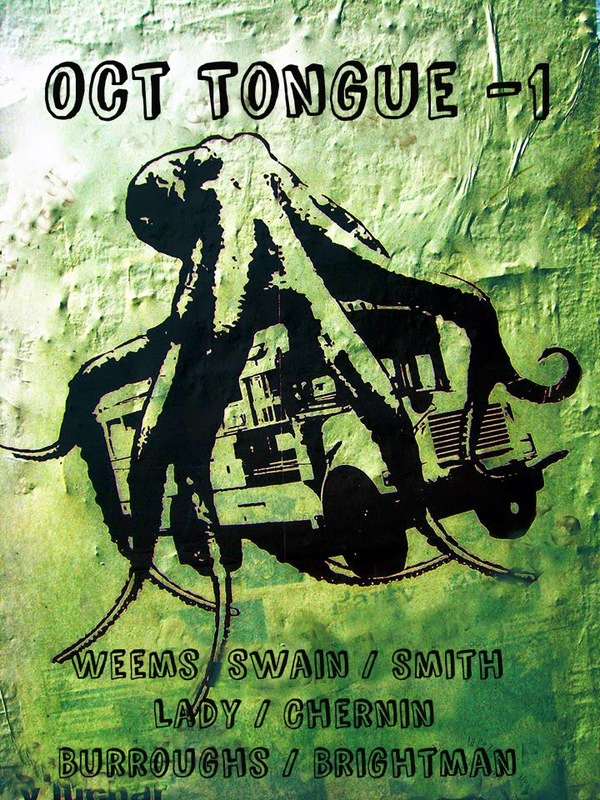 Oct Tongue -1 (a collaborative book by John Swain, Mary Weems, John Burroughs, Steve Brightman, Shelley Chernin and Smith and Lady) is forthcoming and may be available in time for this event. Sean Thomas Dougherty was born in 1965 in New York City, and raised in Toledo, Ohio, and Manchester New Hampshire. As an adult he has lived significant years in Syracuse, New York, Cleveland Ohio and for more than a decade on and off in Erie, PA. 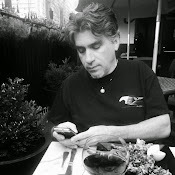 He is the author or editor of thirteen books , They include All I Ask for Is Longing: Poems 1994- 2014 (2014 BOA Editions), Scything Grace (2013 Etruscan Press), Sasha Sings the Laundry on the Line (2010 BOA Editions) which was a finalist for Binghamton University’s Milton Kessler literary prize for the best book by a poet over 40, the novella The Blue City (2008 Marick Press/Wayne State University), and Broken Hallelujahs (2007 BOA Editions). His awards include two Pennsylvania Council for the Arts Fellowships in Poetry and a Fulbright Lectureship to the Balkans. Known for his dynamic performances. he currently works at a pool hall, teaches private students and travels widely for readings. To order your copy of Secret Letters, send $6 to Crisis Chronicles Press, 3344 W. 105th Street #4, Cleveland, OH 44111 USA, or PayPal it to jc@crisischronicles.com. This week was the 22nd anniversary of my arrest. A lot has changed since then. Join the madding crowd at https://www.facebook.com/crisischroniclespress.